Microsoft did pitch us a curve when they announced LG was going to be their exclusive partner for Windows Mobile 6.5 phones. We keep asking ourselves the same question over and over again “Why LG with their two Windows phones and not the undisputed leader HTC?”. 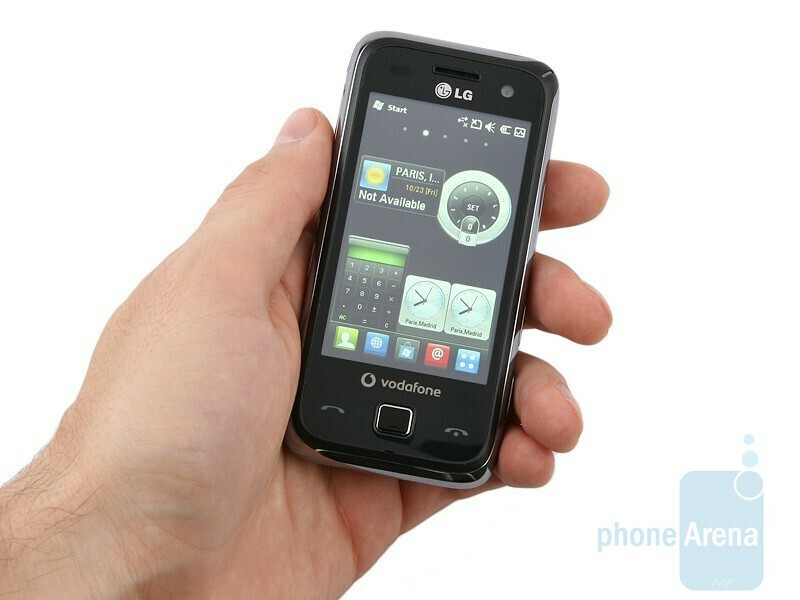 So far the manufacturer has announced only two cell phones running WM6.5 – the LG GM730 and LG M750. They both utilize the company´s proprietary S-CLASS 3D interface and the only difference between them is the overall design. 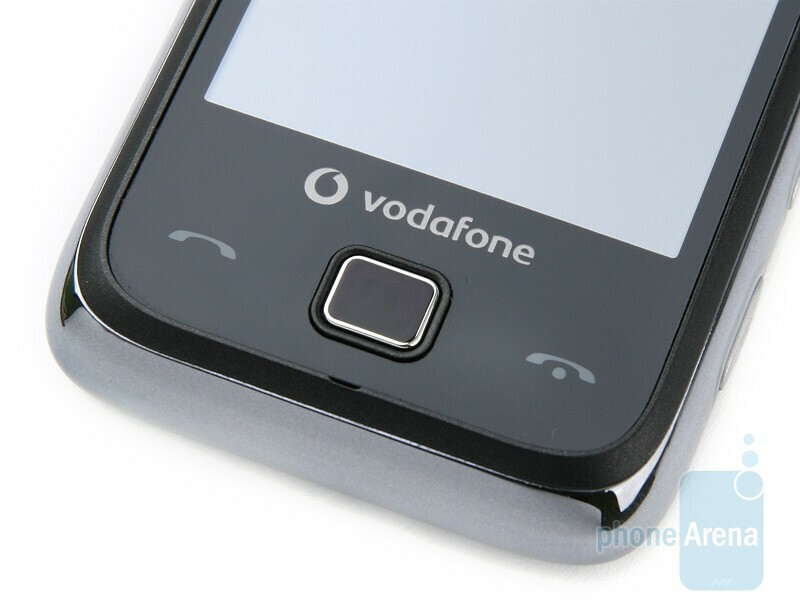 What´ve got in our hands now is a prototype of the LG GM750 for Vodafone, the carrier that will be selling the handset in Germany, Greece, Italy, the Netherlands, Spain and the UK. We may soon have to reconsider our views on the sizes of Windows phones, because several really compact devices have rolled out lately; say the GIGA-BYTE GSmart S1200 and HTC Touch2. The LG GM750 measures similar overall size, but its body is relatively hefty and feels pleasingly solid in your hand, despite the fact it´s made of plastic. despite the fact it´s made of plastic. You can compare the LG GM750 with many other phones using our Size Visualization Tool. 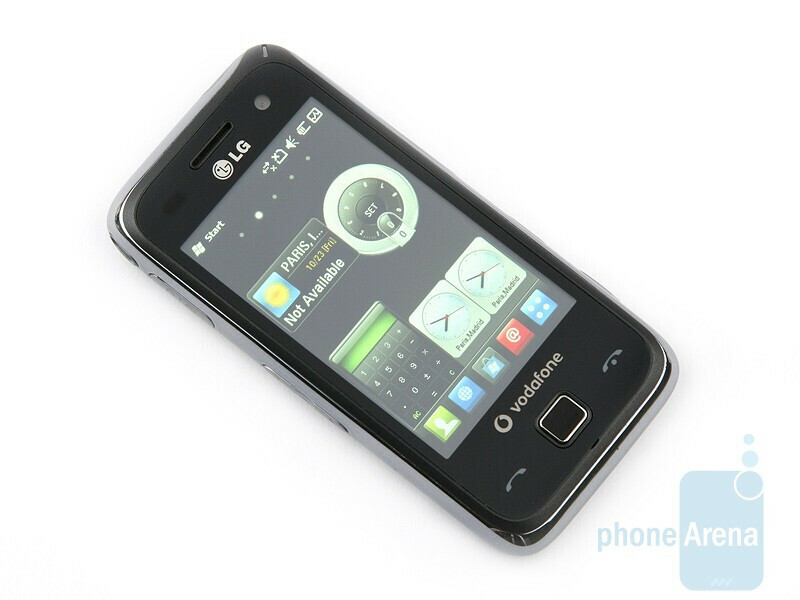 Similarly to most LG handsets with touch-sensitive screens, the GM750 sports a 3-inch display. It comes with WQVGA resolution and just doesn’t deliver the impressive images that WVGA models do. It utilizes resistive technology, but we couldn’t find a stylus or a compartment for it in the phone. Perhaps, the retail units will come with one and it will be attachable to the phone similarly to the Samsung OMNIA. Frankly, we don’t remember desperately needing one during our tests. The buttons on the front side got us slightly puzzled. At least at first sight, they look like standard, touch-sensitive send and end keys and another one that you use to confirm selection (i.e. Enter). The latter also functions as an optical pad, so you can use it as a D-Pad or mouse cursor. What we are surprised at, however, is that the send and end keys can also be used as functional buttons - they get assigned functions that appear at the bottom of the screen, even when you get an incoming call. This is rather confusing really, so we hope the issue affects just our prototype and not the retail units. The volume rocker is on the left hand side, while the camera shutter, multitasking button and microSDHC slot are on the opposite. The LG GM750 doesn’t feature 3.5mm jack, but comes with standard microUSB port. As a whole, the phone looks pretty cool, something typical of all devices of the manufacturer. LG´s unique design sticks out a mile and you can confuse the device for the ARENA KM900 when you see its interface. How come? Read on and you will find out.